X Zone Lures has its roots in the northern lakes helping anglers crush big smallmouth bass with some of the best drop shot baits ever designed. The Pro Series 3.25 Finesse Slammer is the latest addition to the Slammer line up and is packaged in a special tray to maintain the integrity of the baits shape. 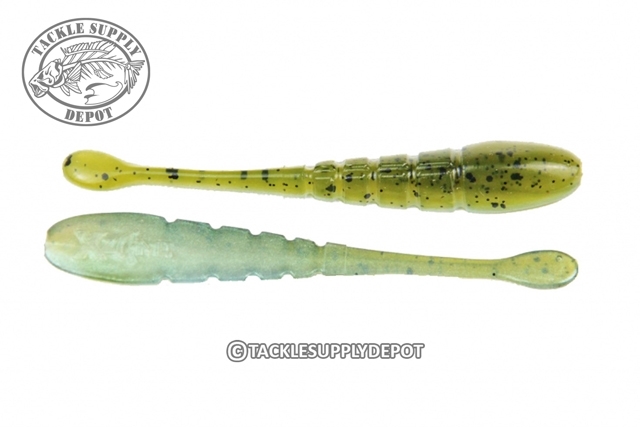 Made with super soft, yet durable, high quality plastic, this new bait flat out catches smallmouth bass, largemouth bass and walleye. The forage imitating colors of the 3.25 Finesse Slammer are simply unmatched in the bass fishing world. The unique design allows it to mimic a wide variety of forage from minnows, shad, shiners to sculpin, gobies, and leeches. X Zone Slammer series is a must for your tackle box!